I don’t know about you, but I spent much of my childhood and teenage years tucked away somewhere with my nose in a book. I loved books and the exciting new worlds they opened up for me beyond the confines of the small town in which I grew up. My pocket money only stretched so far, so Saturday mornings would see me at the library in the town centre changing the books I had just finished for new ones. As a young adult, working in what would now be called an internship, with no money to spare, I was dependent on my local library for everything I read. I still love books. Reading is one of my favourite things to do and I always feel slightly cheated if I get to the end of the day without having found time to pick up a book. My children were both read to from birth and became members of the library before they could walk. They were delighted to move into the Rectory and discover the library was just across the road. Their father had crossed the road to go and sign us all up before the removal men had finished unloading the van. The gist of it is that libraries across Essex will be closing over the next five years, unless community groups are willing to take them on as community libraries, supported by Essex County Council, but paid for and staffed by local volunteers in premises provided by the community. Sadly, Tiptree Library is among those to be closed. Now this isn’t yet set in stone. A consultation period has just started and will run until February 20. Local residents will be able to respond to the consultation by calling in at the library or online at the above address. It is important that we do take part in this if we care about having a library here in the future. Libraries across Essex generally are simply not used by as many people as they used to be. A growing number of people prefer to read using an e-book or on their tablet or smartphone and the Library Strategy envisages more people accessing library services electronically. 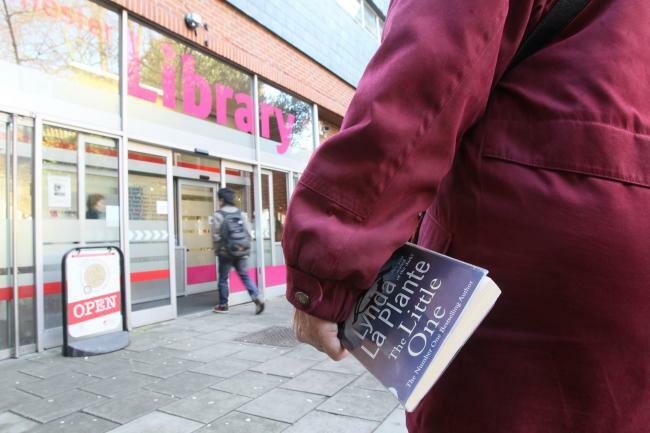 Only 12 per cent of people living in Tiptree are members of the library and not all of those regularly borrow books from it. The local schools no longer visit it and the Summer Reading Challenge didn’t attract many participants this year. From a pure data point of view, you can understand why Essex County Council sees a need to do things differently and find a more cost-effective way of providing a library service. The trouble is, there are things a library does for a community that can’t be measured in terms of simple data. It is a place where those who can’t afford to buy books can access them. It is a place where you can browse the shelves at leisure and discover authors and books you would never have seen otherwise. It is a way of introducing children to books and helping them to make discerning choices about what they read. It is somewhere warm and free to visit if you are cold or lonely during the day. For some people who live alone, calling in to see other people and talk to the library staff is just as important, possibly more so, as borrowing a book. It is a place where people with no internet at home can access a computer, a place where people can study in peace, a place for community groups to meet. Many of these activities don’t show up in the statistics, because the library computer will only know you have been there if you actually borrow a book.